SAN JOSE, Oct 5 2015 (IPS) - Seen for years as passive actors in the fight against global warming, more than 100 countries of the Global South have submitted their national contributions to reducing greenhouse gas emissions and decarbonising their economies. With differing levels of ambition and some targets conditional on international financing, the commitments assumed by developing economies put pressure on the big global emitters of greenhouse gases (GHG) and reinforce the ethical stance that the phenomenon of climate change requires contributions by all countries, said experts consulted by IPS. “We’ve seen a number of strong commitments from Global South countries in spite of their small role in creating this challenge,” said Ellie Johnston, the World Climate Project manager at Climate Interactive, a U.S.-based organisation that helps people see what works to address climate change and related issues. In their national contributions, developing countries have focused on clean energies, the fight against deforestation, the need for new forms of financing, and the design of climate change adaptation strategies. A total of 146 governments met the Oct. 1 deadline to submit their Intended Nationally Determined Contributions (INDCs) for cutting GHG emissions, while 49 failed to do so. The INDCs that were presented are not enough to keep the global temperature rise to two degrees Celsius with respect to pre-industrial levels – the limit set by experts to avoid climate catastrophe. The country climate pledges are to be incorporated into the new universal binding treaty to be approved at the 21st yearly session of the Conference of the Parties (COP21) to the United Nations Framework Convention on Climate Change (UNFCCC), to be held Nov. 30 to Dec. 11 in Paris. Another estimate, by the Climate Action Tracker, predicted that the combination of government climate action plans, if implemented, would bring global warming down to 2.7 degrees Celsius. The differences in the estimates arise from the different methodologies used, mainly with regard to emissions from China and India after 2030 – the two emerging powers that in the last two decades have become the world’s first and third largest emitters of GHG. The second is the United States, the fourth Russia, and the fifth Japan. “Our analysis shows that more ambitious contributions are needed across the Global South and Global North to ensure we reach the internationally agreed upon goal of two degrees C, and we hope that the Paris climate talks will create a framework that ensures this can happen,” Climate Interactive’s Johnston told IPS. Some of the governments presented ambitious targets. And one thing that stood out was clear objectives for adaptation, one of the most important elements for the Global South, a term that refers to the diverse range of developing countries in Africa, Latin America and the Caribbean, and Asia. Johnston celebrated the presentation of commitments by the emerging economies, and said that given the disparity between historic responsibility and action-taking capacity, industrialised countries should step up their contributions. The division between industrialised and developing countries is a basic part of the UNFCCC, because of their different levels of responsibility in generating the phenomenon of climate change. But after COP20, held in Lima in December 2014, all countries committed to contributing to curbing global warming, by means of the INDCs. In the crucial Paris conference, negotiators will have to combine the INDCs presented by each country in the new binding climate treaty, which will enter into force in 2020, with the goal of keeping the global temperature rise below two degrees Celsius by 2100. “When viewed from an equity and fairness perspective there are quite a few that have gone beyond what we could consider as their fair share, especially among the smaller LDCs (Least Developed Countries) and SIDS (Small Island Developing States), who are least responsible for the causes of climate change,” Tasneem Essop, the head of the World Wildlife Fund (WWF) delegation to the UNFCCC climate talks, told IPS. The South African activist said the problem with the INDCs is that in Lima, clear standards were not set for their design. Costa Rica pledged to limit its per capita emissions to 1.19 tons by 2050, and the hope is that the global average will be no more than two tons per capita. Cameroon is to cut its emissions by 32 percent, with respect to the level it would have in 2035 at the current rate of growth, but like many other countries, it clarified that to reach that goal, it would need international financing. Papua New Guinea, where the logging industry is powerful, will focus on combating deforestation and on land-use change, its main problem. 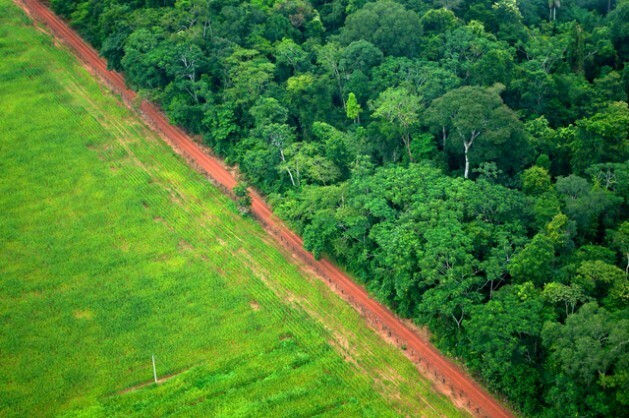 Brazil, meanwhile, proposed to reduce emissions by 37 percent by 2025, with respect to 2005 levels, and it is one of the few countries of the South to present “absolute targets”. “The problem we have, and this applies to all the INDCs and not just Global South countries, is that these INDCs have not been developed on a common framework or with common standards. So it makes it very difficult to compare,” said Essop. The countries that failed to meet the deadline for the submission of INDCs included some with more limited technical capacity to draw them up, and others that the experts considered the least motivated to take action. The list of countries that did not present INDCs includes Bolivia, Iran, Malaysia, Pakistan, Saudi Arabia, Sudan and Venezuela. Essop stressed that the commitments assumed by the Global South should keep in mind the balance between the three principal elements of climate action and the new treaty – mitigation, adaptation and means of implementation – where internal and external financing play an essential role. “An important and interesting feature in some Global South countries’ INDCs has been the clarity in terms of what the country can fund domestically and what actions can be enhanced with support,” said Essop. In 2009, industrialised nations pledged 100 billion dollars a year by 2020 to finance the struggle against global warming. But the funds have been slow in coming. “Finance will not be an issue that is resolved until the final night in Paris,” said Kat Watts, Global Climate Policy Advisor for Carbon Market Watch. Watts told IPS that the old divisions in the climate negotiations – Annex 1 and Annex 2 industrialised countries, and the rest of the countries in a separate group – are crumbling under the weight of the INDCs and other actions. The British analyst said it was important that the submission of the national climate pledges and the approval of the 2030 Agenda for Sustainable Development and its Sustainable Development Goals (SDGs), at a Sep. 25-27 U.N. summit in New York, had happened at the same time. 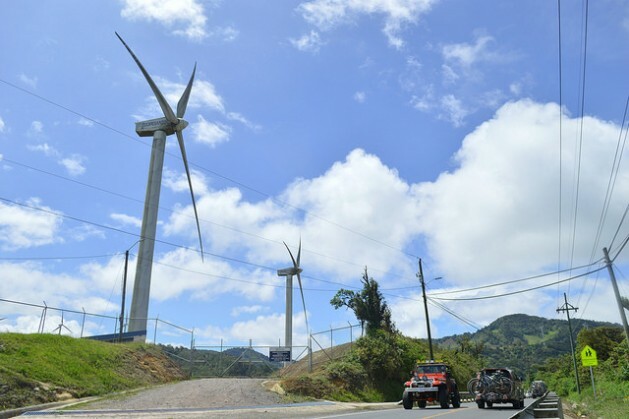 “The INDC and SDG processes both happening this year means that there is a real opportunity for each country to consider how to make any planned development both low carbon and resistant to predicted climate impacts,” said Watts.